Color Coding! 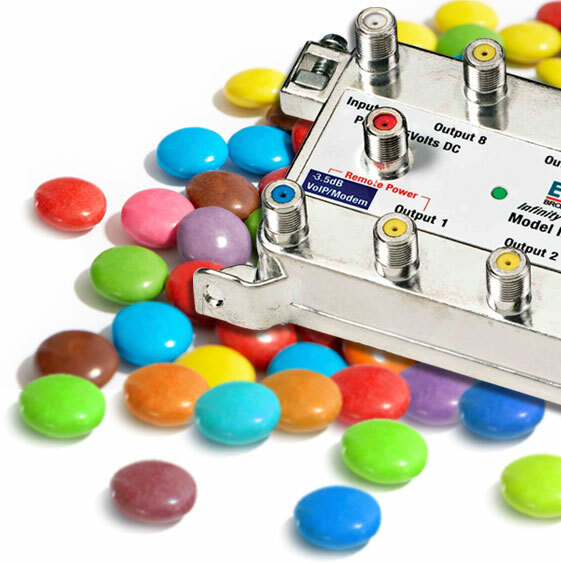 Look for color-coded ports on all Extreme Broadband hardware. By creating a color coding standard, technical training has become consistent and port identification is as easy as identifying a few basic colors. 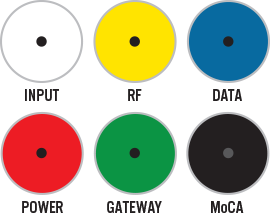 White is always input, yellow is always RF, blue is always data, red is always power, green is always gateway and black is always MoCA. Extreme’s color-coded ports are creating the new industry standard.